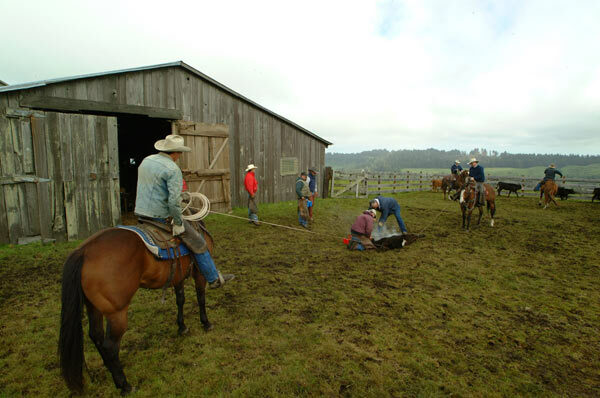 Lori and I were invited out to Phil Dwight’s ranch to watch them mark this year’s crop of calves. Unfortunately Lori woke up in the middle of the night with a really queasy stomach, so she stayed home. I don’t think she would have like it anyways, there was a lot of blood involved. 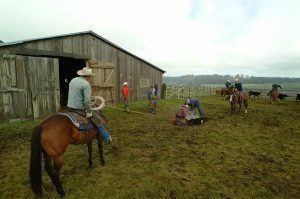 I was most impressed by the horses and how calm they remained while the calves were running around screaming and trying to escape, which in my mind was a totally appropriate behavior. I’m sure I’d be doing the same thing if somebody wanted to turn my testicles into a BBQ delicacy.